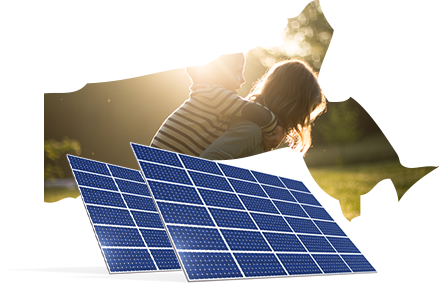 Become one of the 200,000+ Massachusetts homes powered by solar. Massachusetts has a bright future for solar capacity. In 2015, the state spent over $800 million to install 340 megawatts of solar electricity—the fourth most in the nation that year. And by 2020, the Bay State hopes to have 1.6 gigawatts of solar capacity, which will power close to one million homes. Thanks to the support of lawmakers and recent legislation to keep utility rates low for solar owners, Massachusetts homeowners are in a great position to install solar and save big. Residents in Massachusetts pay $94 per month on average for electricity. Compared to the rest of the country, that’s actually pretty good; Massachusetts electric bills are 12 percent cheaper than the national average. The price per kilowatt is what skews things a bit, since Massachusetts homeowners pay the ninth most in the nation at 14 cents per kilowatt. The good news here is that solar can help you save. On average, installations cost anywhere from $11,200 to $14,400, but the price per kilowatt tops out at nine cents. That combined with the fact that photovoltaic cell prices have dropped 66 percent from 2010 means solar is a great way the people of Massachusetts can save on energy. There’s great potential here, but the only way to be sure of the amount you can save on energy is to get a quote. Or, you can use Solar Power Authority’s solar energy cost calculator to estimate your potential savings. The federal government encourages homeowners to go solar with a 30 percent tax credit. This means that if you spend 30,000 on solar panels, you’ll recoup 30 percent of that cost in tax credits. Only people who own their solar panels can benefit from this tax credit, but in some cases, solar companies pass these incentives onto people who lease or finance. Your community and state offer tax incentives and solar rebates. In fact, there are 100 programs throughout the state of Massachusetts. Browse by zip code to see how else you can save on solar. When solar panels produce too much energy, it goes back into the grid. Then, the utility company buys that energy from you! Again, this is mainly for those who own solar panels completely, but you can ask your solar company about policies surrounding this money-saving incentive. 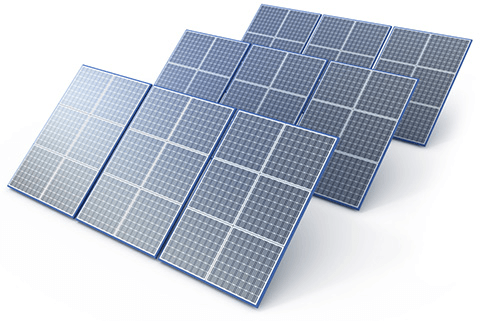 SunPower is one of the most innovative solar companies. To date, it has over 600 patents for solar technology, a world record-setting solar-powered plane, Solar Impulse 2, and solar cells that produce 55 percent more energy than conventional panels. Plus, customers can buy, lease, finance, or get a solar PPA with SunPower. Homeowners can save 20 percent and enjoy flexible payment options like leases, solar PPAs, financing, and buy-out options with Sunrun. Headquartered in California, the company provides over 80,000 people with solar power in 15 states. With exemplary ratings from the Better Business Bureau and Angie’s List, Sunrun is a safe and smart choice for solar customers. Vivint Solar is an offshoot of Vivint—a company that specializes in home automation and security. Since Vivint Solar was founded in 2011, it’s been providing customers with money-saving sustainable energy and solar PPAs, leases, financing, and buy-out options. If you’re a homeowner who is interested in solar and home security, Vivint is a convenient option with great products. Massachusetts is one of the 17 states where you can get service from NRG Home Solar. This means you can tap into savings and solar contracts that require as little as $0 down. You won’t be able to get a solar PPA from NRG at this time, but you can enjoy its engineering, monitoring, permitting, and installation services that will save you money. In 2016, Governor Charlie Baker signed a solar net metering bill to lift the cap on how much utility companies have to pay solar energy producers. While it’s a short-term solution (caps are projected to top out again in 2017), this bill cuts rates by 40 percent. It’s also a good indicator of how seriously Massachusetts is taking the implementation of solar energy. Since the state wants to have 1.6 gigawatts of solar capacity by 2020, it’s doing all it can to make solar a viable and affordable energy solution for homeowners. By 2020, Massachusetts aims to have 1.6 gigawatts of solar capacity. Over 15,000 people are employed by 448 solar companies in Massachusetts. Massachusetts installed the fourth most solar capacity in 2015—340 megawatts. The state spent over $800 million in 2015 on installing solar. Massachusetts has the sixth most solar capacity in the country—1,199 megawatts—which is enough to power over 190,000 homes. Massachusetts has its own regulation organization for utility companies. Visit the website to learn about electricity rates, read developing news, and more. Learn about green initiatives in your community and rebates for electric cars and other green items. Track pending legislation affecting solar energy, locate and contact individual legislators, and stay up to date on current legislative issues in Massachusetts. Learn about the state agency dedicated solely to facilitating the development of the clean energy industry. Explore every single incentive and solar rebate program in Massachusetts. Look up energy statistics and see how solar is proliferating America.